After reaching Bagerhat you may use CNG or auto rickshaw or bus to get there. Bagerhat District is linked with Dhaka and other districts by road and Water. You can use any of those. Presently, there are no flight services from Dhaka to Bagerhat. However, an airport in Bagerhat is currently under construction and therefore, Flights from Dhaka to Bagerhat may be available in the near future. It has simple accommodation with limited facilities and moderately good service. However, the place is costly. There are few more comparable hotels nearby the same area. Observe the beautiful view of the pond. Both are very much interesting in a point that these ponds were dug so many years ago, but they still look same. You can eat at “Dhansiri Restaurant” which is near to that dighi. Address is: Bagerhat – Khulna Road, Bagerhat, Bangladesh. If you are hungry you may search for fast food shops or restaurants nearby. You may also carry your own food. 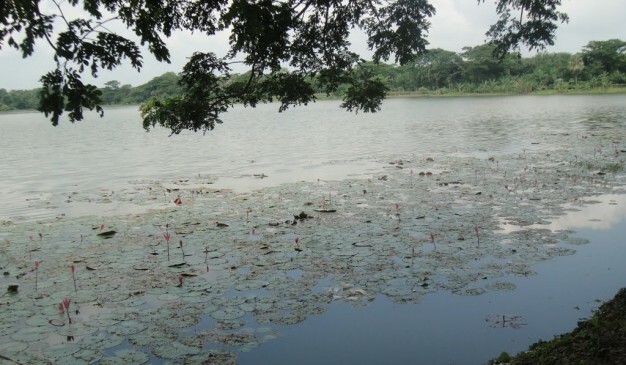 Boga Lake, also known as Bagakain (বগাকাইন) Lake, is the most beautiful natural lake in Bangladesh. It is 18 km away from Ruma Sadar Upazila in Bandarban. The area of this lake is about 15 acres. It is approximately 1800 feet above sea level. The color of its water is blue. Behind creation of this lake there are many mythological stories. 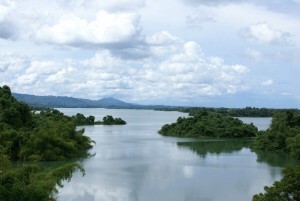 Many tourist visit Boga lake mostly during winter. 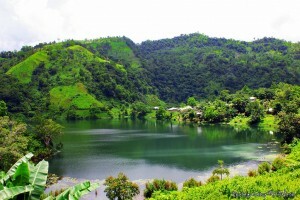 Localities of small tribe community like Bawm, Khumi can be found besides the Boga Lake. Strolling becomes difficult in the rainy season. The road from Ruma to Boga Lake is still under construction. You might be amazed looking at the big rocks lying in and out of the Boga Lake. You can have a camp fire beside the lake which might be an unbelievable and mind-blowing memory in your life. 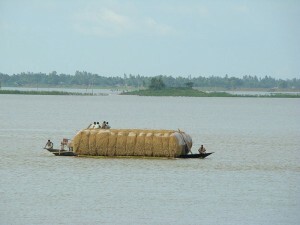 Chalan Beel (Bengali: চলনবিল) is a wetland in Bangladesh. It is a large inland depression, marshy in character, with rich flora and fauna. Forty-seven rivers and other waterways flow into the Chalan Beel. As silt builds up in the beel, its size is being reduced. 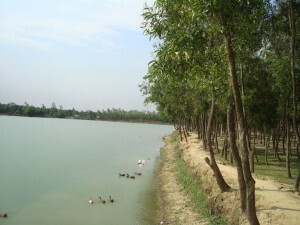 Chalan Beel is an extensive lowland area in the lower Atrai basin, and spreads across Singra and Gurudaspur upazilas on Natore District, Chatmohar, Bhangura and Faridpur upazilas of Pabna District, and Ullahpara, Raiganj and Tarash upazilas of Sirajganj District. It consists of a series of beels connected to one another by various channels to form a continuous water body during the rainy season. Although the beel area expands into a vast water body with dense aquatic vegetation as long as the Jamuna remains flooded during the monsoon months, it dries out in the winter months, leaving only patches of water in the central parts of this zone. Chalan Beel is fast silting up. In the past it covered an area of about 1,085 km² but was reduced to 368 km² in 1909, of which only 85 km² remained underwater throughout the year. It has since shrunk to only 26 km². The most important factor dominating the river history in Bengal is the large proportion of silt carried by its rivers. It is the silt which has created the land and made it habitable by building it up through the centuries. It is silt which is fertilising the land, but the silt, which has been the most beneficial gift of nature, has also produced most of the river problems now confronting the people of Bengal. Silt deposited in the old river channel beds has forced them to change course, creating problems for abandoned areas while assisting in developing new areas. The main volume of water from the Ganges River began flowing through the Padma channel in the sixteenth century. Silt from the Padma helped in building up the southern portion of north Bengal. This is the most plausible explanation for the existence of a depression around Chalan Beel. The Teesta was active in the region until it changed its course in 1787. This territory lies in between the land raised in the north by the Teesta system when it was active and that in the south by the Padma. However, there is another explanation for the creation of the depression. The Padma has been changing its course over the centuries. In Ven den Brouck's map of Bengal, prepared in 1660, the main channel of the Padma is shown as flowing through Faridpur-Bakharganj, but there also is a suggestion of another, possibly earlier channel. This channel runs through Rampur Boalia in Rajshahi, Chalan Beel, Dhaleswari and Buriganga before meeting the Meghna. At that time the Jamunawas virtually non-existent and the Brahmaputra used to flow through its old channel.